In September 2015, the UN Secretary-General launched the Global Strategy for Women’s, Children’s and Adolescents’ Health to help further the 2030 Sustainable Development Goals (SDGs) Agenda. The strategy builds on 15 years of progress under the Millennium Development Goals and the Every Woman Every Child (EWEC) movement. A key strategic priority for EWEC is to ensure strong implementation of the SDGs. The IAP is comprised of the following distinguished panelists from diverse regions and backgrounds that range from human rights experts to humanitarian leaders to statisticians. These panelists are empowered to command attention from the global community across the full range of the updated Global Strategy’s accountability framework – to monitor, review and act – and across the spectrum of issues that comprise the Global Strategy’s “Survive, Thrive, and Transform” themes. 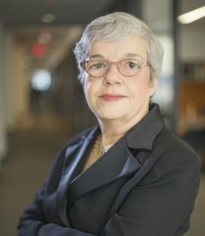 Carmen Barroso was the Regional Director of International Planned Parenthood Federation, Western Hemisphere Region (IPPF/WHR), until her retirement in April 2016. Among her responsibilities was the leadership of a comprehensive accreditation system to ensure accountability among member associations. Carmen was awarded the 2016 United Nations Population Award, in recognition of her long commitment to population causes. Dr. Barroso became the first non-American to be appointed as director in the US MacArthur Foundation. 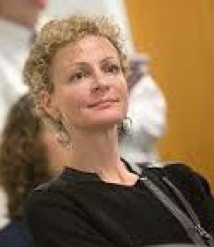 She has served on several boards and international commissions, including the independent Expert Review Group, the Lancet Commission on Adolescent Health, the Independent Advisory Group on the Data Revolution, International AIDS Alliance, IBIS, and PAHO’s Panel on Gender and Health that she co-chaired. Carmen Barroso holds a Ph.D. from Columbia University and did post-doctoral work at Cornell University. Kul Gautam is a distinguished international civil servant, development professional, public policy expert, and human rights activist. He is a former Deputy Executive Director of UNICEF and Assistant Secretary-General of the United Nations with extensive experience in international diplomacy, development cooperation and humanitarian assistance. 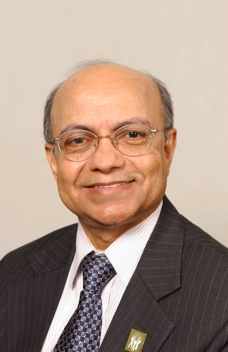 In his long UN career spanning over three decades, Gautam provided leadership for strategic planning, policy guidance and programme management. Mr. Gautam serves on the Boards of several international organizations, charitable foundations and public private partnerships. He is Chair of the Board of anti-poverty advocacy organization RESULTS, Inc (USA); Member of the Board of Trustees of OXFAM GB; Trustee of Religions for Peace (USA); Member, Steering Committee of Global Partnership on Violence against Children (USA); and a Champion for the Global Partnership for Education (GPE). 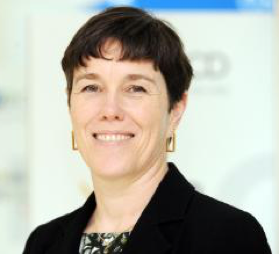 As Deputy Director of the OECD’s Development Co-operation Directorate (DCD), Ms. Brenda Killen leads work to improve policy-making, delivery, monitoring and accountability of global development assistance. Ms. Killen was one of the architects of the Global Partnership for Effective Development Cooperation. As OECD’s envoy to the post-2015 process, she helped translate the 2030 Agenda for Sustainable Development into OECD’s action plan on the SDGs. Ms. Killen joined the OECD in 2007 and has over 25 years’ experience leading the design and delivery of international development programmes. Previously, as Deputy Director of Health Policy, Development and Services at the World Health Organization (WHO), she was responsible for defining WHO’s development policy and role in accelerating progress towards the health Millennium Development Goals. She has also worked for the UK Department for International Development (DfID) in several senior roles, including as senior economist for Asia and as lead author of DfID’s policy on middle income countries. 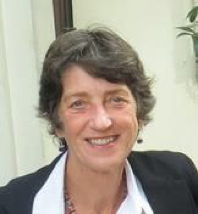 An experienced economist, Ms. Killen has extensive field experience in Africa. Ms. Killen has a MSc in Economics from the London School of Economics. 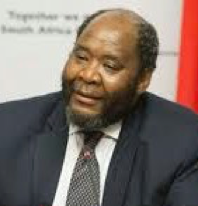 Mr. Pali Lehohla was appointed to his current position in South Africa of Statistician General, in November 2000. 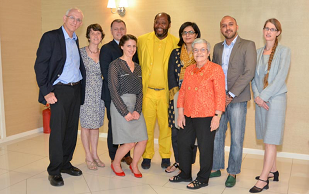 Previously Mr. Lehohla was a chief director for Demography, Censuses and Household Surveys at Statistics South Africa (Stats SA) where he was responsible for South Africa’s first post apartheid population census conducted in 1996. In 1998, Mr. Lehohla was deployed by the United Nations to Cambodia to assess the country’s readiness to undertake its first census after almost 30 years. He holds a B.A. with a double major in Economics and Statistics, and a postgraduate diploma in population studies. He has also completed a senior leadership programme with the business schools of the University of Witwatersrand and Harvard. Ms. Winfred Osimbo Lichuma is a lawyer with a masters in gender and development, and over 20 years of senior level country leadership in human rights and gender equality. 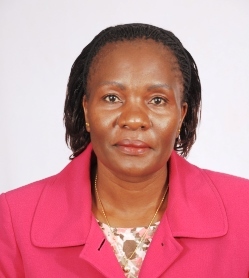 She is currently chair of Kenya’s National Gender and Equality Commission and is currently spearheading a public inquiry on the extent that legal and policy frameworks have failed to protect children from rights violations in the form of child pregnancies, and taking the lead to develop guidelines to implement the right to health in Kenya. She previously served as commissioner at the National Commission on Human Rights and as legal advisor to the National AIDS Control Council. Elizabeth Mason was Director of the department of Maternal, Newborn, Child and Adolescent Health at WHO HQ in Geneva, from 2004 until her retirement at the end of May 2014. Dr. Mason is a specialist in Public Health ­ Maternal, Newborn, Child and Adolescent Health and has more than 30 years’ experience in Clinical care; Policy and Strategy development; Planning, management, implementation and monitoring of maternal, newborn and child health programmes at all levels of the health service. She spent 24 years living and working in the African region. Working in Zimbabwe, at all levels of the health system, before joining WHO, where she worked at country, intercountry and Regional levels. Prof. Vinod K. Paul, MD, PhD, is chair of the department of pediatrics at the All India Institute of Medical Sciences (AIIMS), New Delhi, India, a visiting professor at the Public Health Foundation of India (PHFI), and the co-chair of the Commission on Health for the state of Himachal Pradesh. He leads the WHO Collaborating Centre on Newborn Health and chairs the Technical Advisory Group on Women’s and Children’s Health of WHO South East Asia Region. Dr. Paul has been a co-chair of the board of the Partnership for Maternal, Newborn and Child Health (PMNCH), a member of the United Nations Millennium Project Task Force on Child Health and Maternal Health, and a member of India’s High Level Expert Group on Universal Healthcare Coverage. Prof. Paul received the prestigious Public Health Champion award by WHO India in 2015. 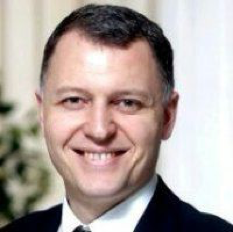 Dr. Giorgi Pkhakadze has been working in public health in a number of regions (South Asia, Central Asia, Eastern Africa, Middle East and Eastern Europe). 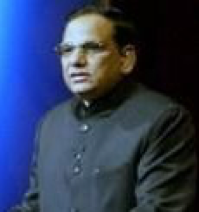 He has provided expertise for the set-up and implementation of public health programmes and policies for several UN agencies, for the Global Fund (GFATM), the European Union, private international consultancy companies, several national and international nongovernmental organizations, and private and government run hospitals. Dr Pkhakadze previously served as a member of an Independent Review Committee, Gavi and a member of the Technical Review Panel for GFATM. He is also an Associate Professor in Epidemiology and Public Health and published several books and articles internationally in the field of Public Health and Anthropology. Dakshitha Wickremarathne is a young researcher, activist and a development practitioner focusing on sexual reproductive health and rights (SRHR), gender equality, youth rights and reconciliation. He is an Asia Pacific trainer on SRHR and has extensive experience in working with most at risk and vulnerable populations. Wickremarathne serves as a Commissioner in the Lancet Commission on Adolescent Health and Well Being and as an Advisor to UN Women’s Global Civil Society Advisory Group. 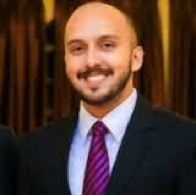 He is the Co-Founder of Youth Advocacy Network Sri Lanka, working to establish youth led accountability mechanisms. Wickremarathne was recently appointed as the Official Sri Lankan Youth Delegate to Commonwealth by the Government of Sri Lanka and was selected as one of Women Deliver’s Young Leaders in 2015. Wickremarathne has a Bachelors in Social Work and Post Graduate Diploma in Diplomacy and Global Affairs. He is currently earning his Masters in Development Studies while working for CARE International Sri Lanka. From 2007 to 2011 Yamin held the prestigious Joseph H. Flom Fellowship on Global Health and Human Rights at Harvard Law School. Prior to that she served as director of research and investigations at Physicians for Human Rights, where she oversaw all of the organization’s field investigations, and was on the faculty of the Mailman School of Public Health at Columbia University.